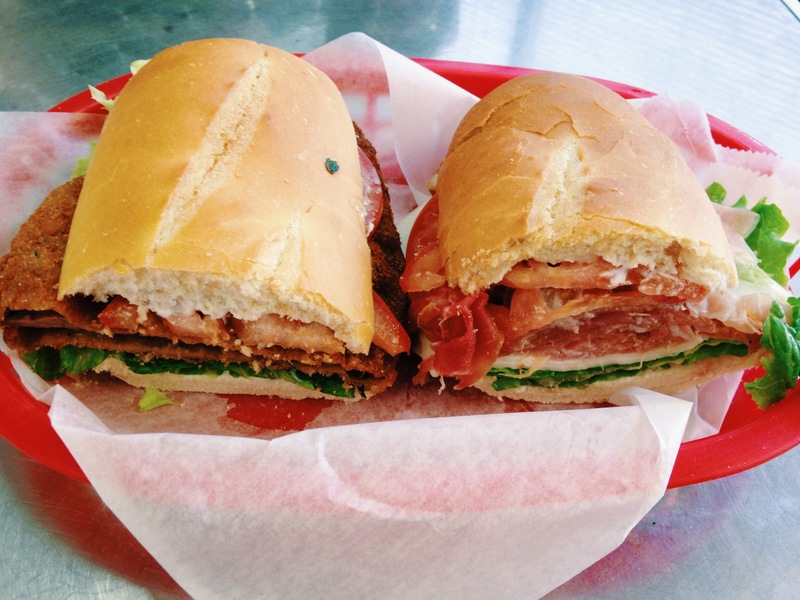 To the food I can’t stop thinking about, I got you on my mind- the prosciutto sandwich. I can barely spell prosciutto, constantly double-checking if I need to add or remove a letter, but when it comes to eating it; well, don’t mind if I do! When I first fell for prosciutto, it was while I was in Tokyo. I struggled to decipher the Japanese characters on the menu of what seemed to say “raw ham.” Prosciutto. Salty goodness paired with fresh slices of avocado, atop a beef patty, lodged between two slices of bread. My mouth is watering as I recall this memory. It is, to this day, my favorite burger of all time and it was found in Japan at J.S. Burger, which I wrote about in an old post, Always Nom. A few weeks ago I finally went to what is probably the most hole-in-the-wall spot I’ve been to in Orange County- El Gaucho Meat Market. It is an Argentine market, tucked away in Anaheim, not too far from Disneyland. A coworker of mine hyped it up to me, mainly the unlimited chimichurri sauce you can drench your food in. I put it on my list of places to eat to eventually get to. Now a customer comes in, they discuss the deliciousness of El Gaucho, customer mentions PROSCIUTTO sandwich, now I’m listening! El Gaucho is found off Lincoln on the 57, on State College. It doesn’t look like anything special. It looks like a random independently-owned convenience store, if anything. You may even doubt the recommendation when you step foot in the place. You step to the right and oh hey! there’s a food place in here! When you order you find a plethora of jars containing chimichurri next to the register, a key part to your meal. 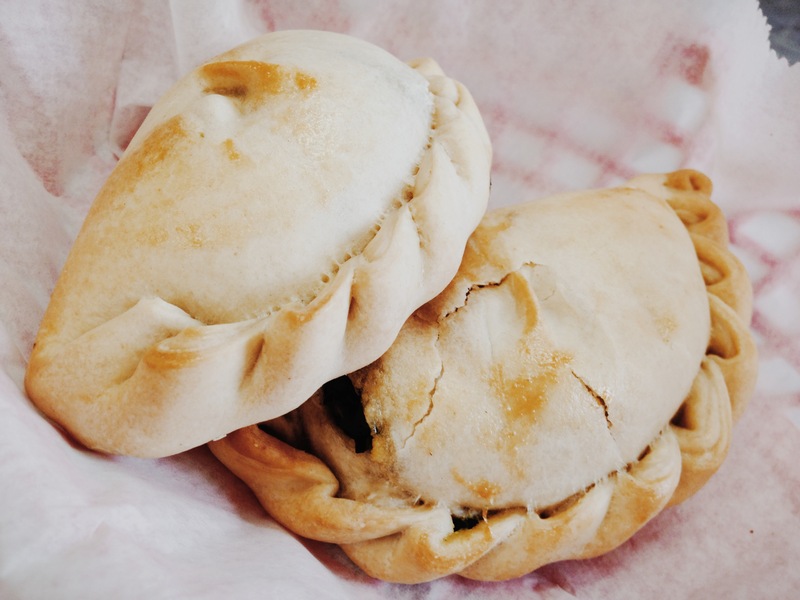 You order empanadas, your appetizer. I got a spinach one, slathered it with chimichurri, wasn’t disappointed. Then you order your sandwich, one of the greatest sandwiches to ever grace your mouth. They have traditional argentine meat like the milanesa, breaded beef, and then they have the prosciutto sandwich. I swapped halves with my boyfriend so that I could try both, but I enjoyed my choice much more. While they both were good, I was so excited to have a thick serving of prosciutto! I’m used to it being used like bacon, more of an accent to a greater good of flavors, or like the “cherry on top.” This time it was the main event and I enjoyed every moment of it! It immediately became my favorite sandwich. If you find yourself in the Anaheim area, maybe you’re headed to Disneyland or going to one of the local breweries, skip the corporate-ran fast-food joints and stop by El Gaucho Meat Market. They do close at 7 p.m., so be aware of that. Grab yourself some empanadas, a sandwich (prosciutto, if you love it as much as I do), the jar of chimichurri, smother your food with chimichurri, enjoy!